Gene ontology refers to a controlled collection of terminology that allows researchers to compare functional nomenclature between different eukaryotic organisms. The three categories used in gene ontology are biological processes, molecular functions, and cellular components . Below are the gene ontology terms for the human C4A gene as annotated on UniProt . Figure 1: The classical complement pathway, with C4A circled in red. 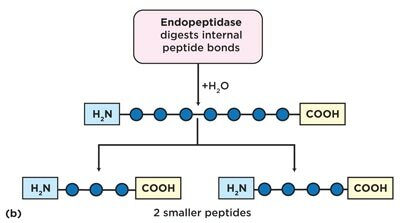 Figure 2: Endopeptidase schematic showing its basic function. Figure 3: Schematic of C4A localization and how it can cause synaptic pruning and schizophrenia. By looking at the GO terms listed above, one can gain a better understanding of the C4A protein's functions, processes, and localization. The biological process terms were expected to be pertaining to the classical complement pathway and immune activation, but the molecular function terms yielded an interesting result. Two seemingly opposing functions were found ("endopeptidase inhibitor activity" and "serine-type endopeptidase activity"), which reveals that C4A may have a dichotomous function in regards to cleaving proteins. The cellular component terms mostly indicated localization of C4A in and around neurons, but it was interesting to see "blood microparticle" listed. Blood microparticles are involved in many processes, including apoptosis, so studying the association of C4A with microparticles could be a promising future direction for research . Shet, A. S. (2008). Characterizing blood microparticles: Technical aspects and challenges. Vascular Health and Risk Management, 4(4), 769–774.